First off, we cannot say enough great things about Honest Company diapers. 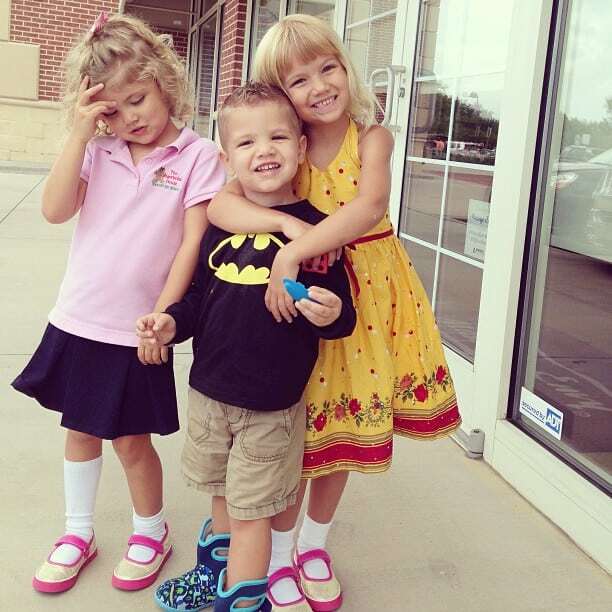 While being so cute with fun patterns, they work wonderfully and were totally leak proof. 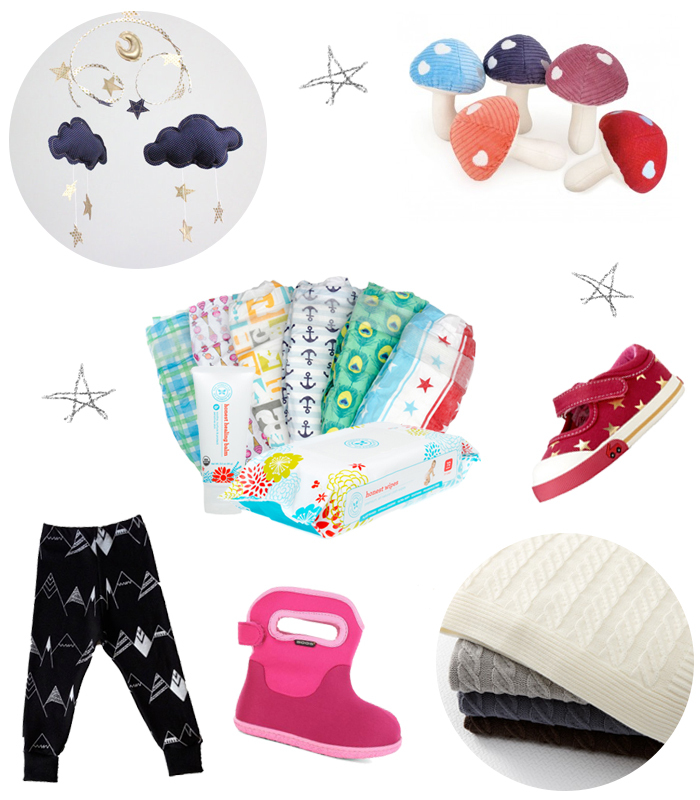 For the holidays, make a Welcome Baby package with diapers, healing balm, wipes, and a butterfly teether for a new mommy. Since kids get so many toys, Mom will love you for a practical, but still wonderful gift, like an Honest Subscription. These Apple Park Woodland Mushroom Rattles make great stocking stuffers. They are made from 100& organic cotton and cotton corduroy. Surprise the new mom with the sweetest new book, Hello World from I See Me! 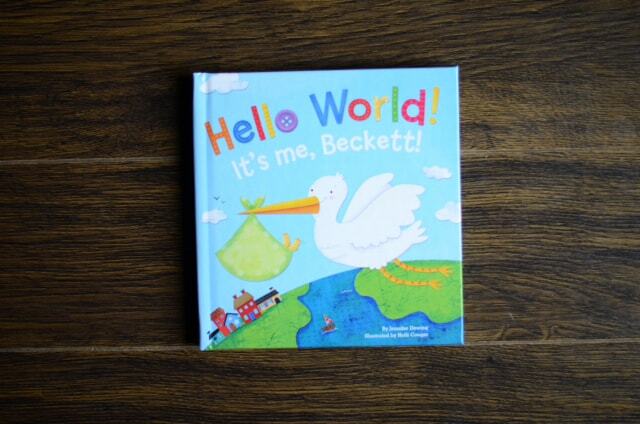 This is the copy we had made for Amber’s new baby, Beckett. 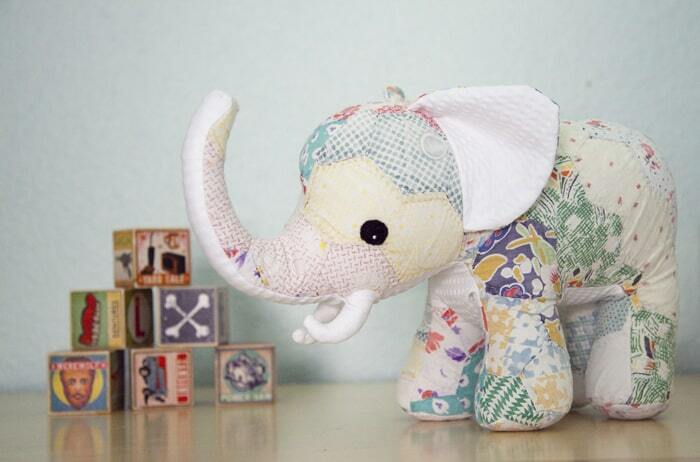 You may remember when Lily & Gus made this beautiful elephant out of an antique quilt of mine. This one-of-a-kind gift is sure to be treasured. Simply send in your fabrics (baby clothes, quilt, blankie) and Ashley from Lily & Gus will turn it into a stuffed animal keepsake. You can see the sea horses she made from my daughters’ dresses here. I always loved receiving adorable baby clothes like these hip baby leggings from Little Cocoa Bean. Do they come in my size too? If you can’t resist a cute new pair of shoes check out one of our favorites – the See Kai Run Adalynn Sneaker. All our prudent babies have them! They are made for early walkers, so they are extra comfy and great for growing feet. For the winter months, Gordon recommends Bogs Footwear. He seriously does not take them off. Bogs are 100% waterproof and machine washable (for those post-puddle mishaps). The pull-on handles also make them extra easy for little ones to put on. I have always had my eye on the gorgeous handmade BabyJives Mobiles. There is an array of mobiles to choose from to fit every type of nursery: butterflies, rainbow hearts, clouds and stars, sailboats, paper planes, and many more. 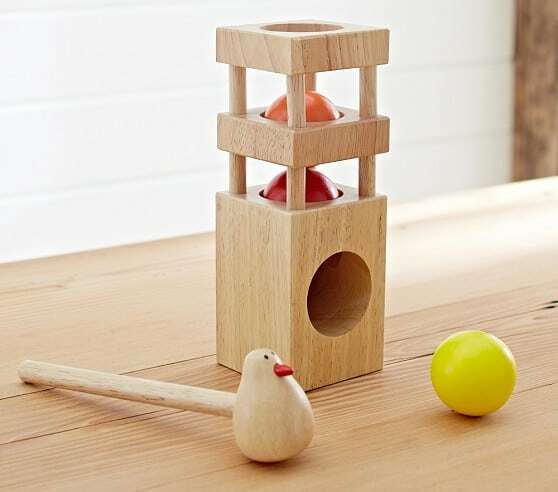 You can’t go wrong with a fun new toy like this Bird Smackeroo from Pottery Barn. While you’re there, pick up a soft Cable Knit Stroller Blanket to bundle the new baby in. For more holiday gift inspiration check out Pretty Prudent Wishlist For the Home, For the Crafter, For Your Beauty Kit, For the Little Reader, and For the Pets.